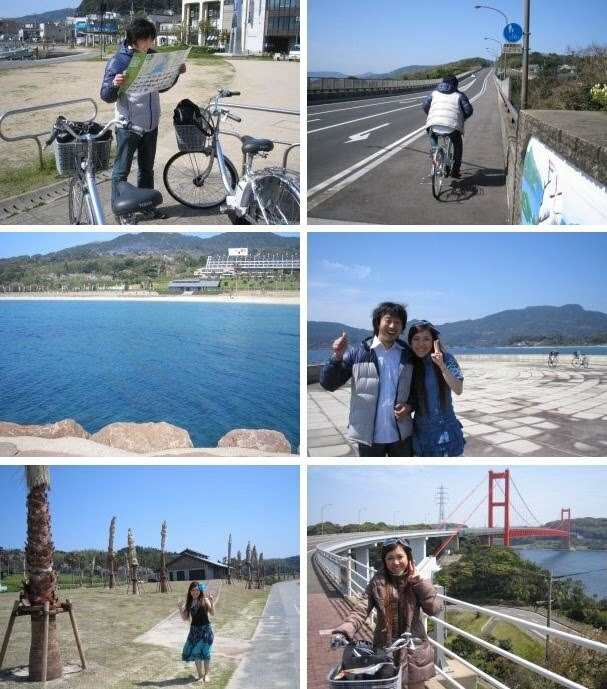 On the weekend, my darling and I visited Hirado city in Nagasaki prefecture. 4/4 was my darling's 35th birthday, so we celebrated his birthday there, too! We stayed at the hotel called 旗松亭 (Kishoutei), which was the prize for the Dutch food contest! 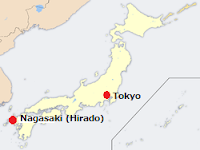 We left home at 5:00AM, took a plane from Tokyo to Fukuoka for about 2 hours, took a bus from Hakata to Hirado for about 2.5 hours, and arrived at Hirado at 1:30PM! 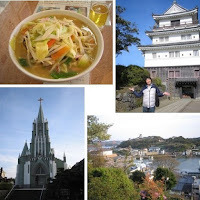 It was well worth the long distance, we enjoyed local dishes in Hirado! 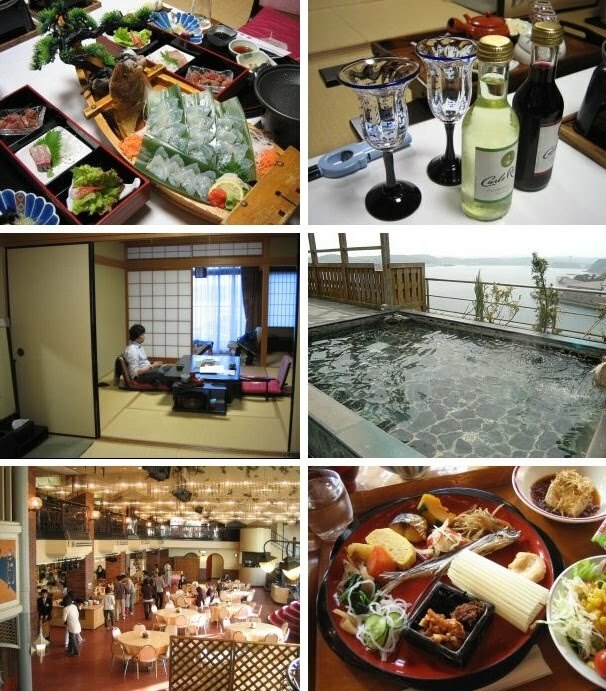 The top left image is 懐石料理 (Kaiseki-ryouri: variety of dishes). 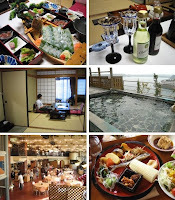 After having a relaxing dip in outdoor hot spring bath, we had those for dinner in our room at the hotel. Raw flatfish on the boat was gorgeous and super delicious! The soy sauce in Kyushu area is not that salty but sweet as compared to soy sauce in Tokyo, so you can eat a lot of sashimi without white rice! Besides foods, we enjoyed sightseeing! 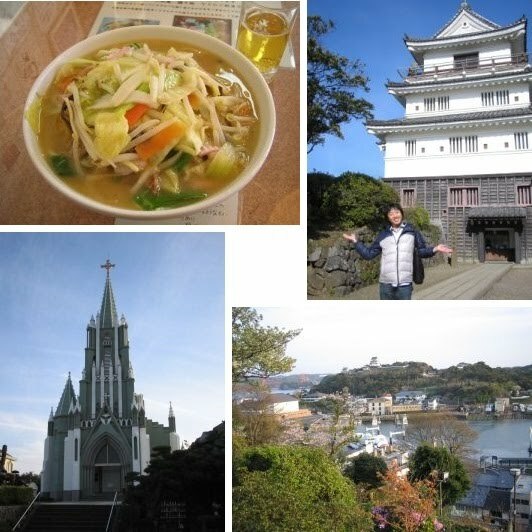 We walked to 平戸城 (Hirado Castle) which dominates the hill that rises above the town and the harbour. 平戸教会 (St. Francis Xavier Memorial Church) raises high behind temples and it has a very interesting view with both temples and a church from the distance. Our return bus was at 1:30PM as well, so we had exactly 24 hours in Hirado. The time there was like a dream. Now I'm back to work... Busy Monday! I will hopefully upload my hula video tomorrow!